Keep track of upcoming and completed tasks with simple yet powerful project To Dos. Designate projects, due dates, assign primary and related resources, and keep track of what needs to be done on a daily project basis. 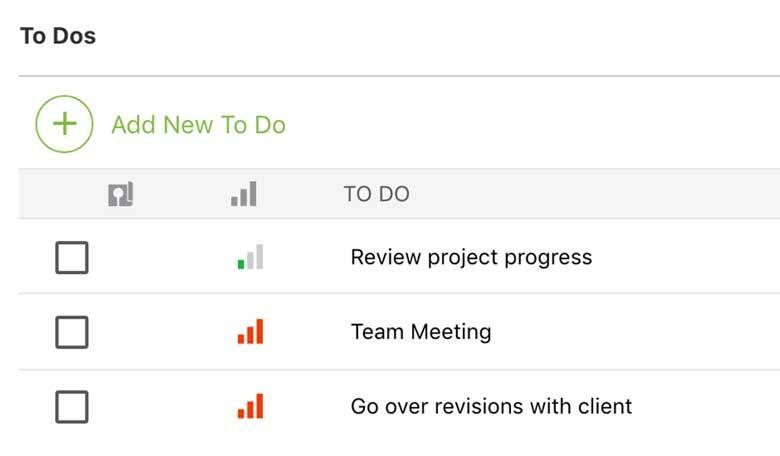 A straightforward project To Do list that ensures you get the job done on time. ConstructionOnline™ To Dos allow straightforward management of all your important tasks. Forgetting to get something done could mean you have to wake up early tomorrow morning... or losing the project you've been working to get all week. Either way, better administration of your team's time and resources will save you from the ache that accompanies letting something important fall through the cracks. 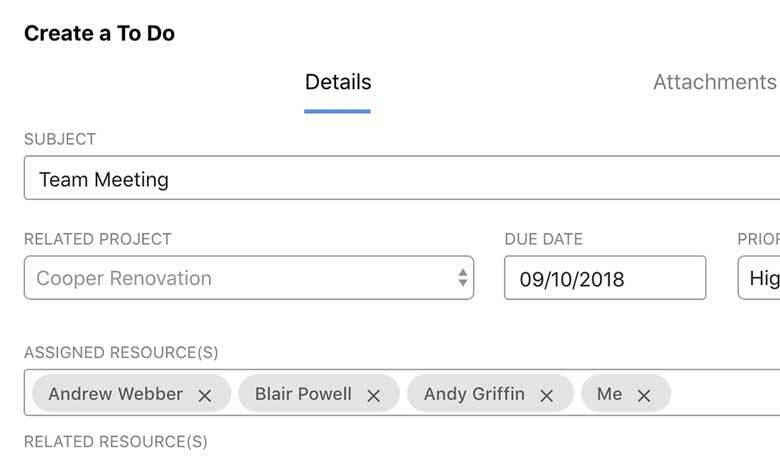 ConstructionOnline™ To-Dos give you the tools to easily handle multiple projects and your entire staff's upcoming assignments, wherever you go. Every To Do in the system can be assigned to multiple contacts, enabling you to oversee every individual on your team, and track their progress as they complete tasks. With one centralized To-Do list, as well as the ability to filter or sort by project, you have the means to make sure everything that is due gets completed. More projects means more tasks that need to be supervised - With ConstructionOnline™ To Dos, that's never a problem. ConstructionOnline™ will automatically move Completed activities into a separate list, to help you see what is left to do. Easily check items off as they are completed - The To-Do List will show who completed the task and move it to the appropriate location. 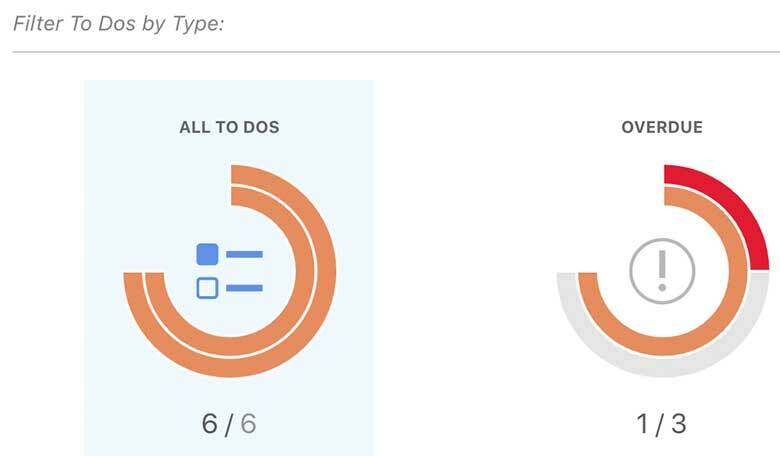 If you're working on a larger task, tracking progress on a percentage basis can give you a clear view of where that specific set of work is, and what might need to be done to complete it. Task notes allow users to log any important details that pertain to the task, and can be easily viewed in the To-Do Information window. Forgetting to get something done could mean you have to wake up early tomorrow morning... or losing the project you've been working to get all week. To Do Reminders will ensure you and your team are where you need to be, when you need to be there. Give total clarity to your project tasks by attaching documents and photos to your To Dos. Your team members can view or download attachments directly from a To Do, so confusion is a thing of the past. ConstructionOnline™ is an incredible product. I've used Submittal Exchange, Procore, and Viewpoint and it ranks high above these. With new ConstructionOnline Project Logging working for you, you'll never have to scramble to find that missing paperwork documenting a vital delivery or work delay. Project activity and files can be recorded, organized by date, and stored in one safe place - ConstructionOnline. ConstructionOnline™ Punch List Management includes a powerful combination of cloud-based desktop construction software and mobile applications for iPhone, iPad, and Android. These tools paired together can enable seamless data entry from either the office or jobsite. Your business is too important to run on sticky notes. 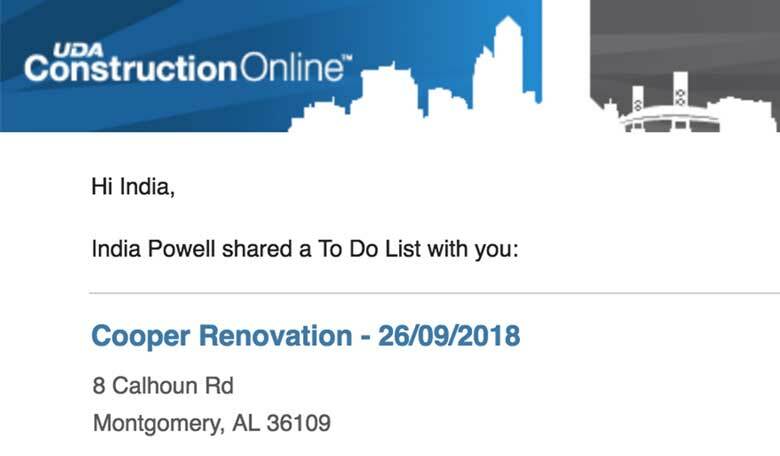 With ConstructionOnline™, you have access to a feature rich To-Do List, with the ability to designate due dates, assign resources, and keep track of what needs to be done on a per-project level of detail. ConstructionOnline™ Project Reporting makes it easy for you and your team to edit, print and share detailed project reports for virtually every aspect of your project. Create reports for your project logs, punch lists, schedules and more. Construction Project Management Tracking Tools for Pros Like You.